How is this even legal? It’s my business If I want to leave something inside my car. I can see if someone left an unsecured firearm out in plain view on the dash of un unlocked car, ya that would be concerning and irresponsible. If I leave an ipod out in the open, the police are just going to jack it and make me drive down to get scolded and pick it up? What the hell? No chill, I’d be mad. Seems that “caretaker provision” in state law they mention at 0:35 is why they can do this. I wonder how many person of interests’ car’s in CT are found “accidentally left unlocked with valuables visible” *big air quotes with fingers there for emphasis*, giving the police a reason to go in and rummage through. 1:25 – This old lawyer at the end keeps it 8 more than 92. What’s next? You live in New Haven and leave the blinds on your house open and police can see your 55″ LED TV from the road, the sneak up and try the door? Then when it’s unlocked they tip toe in, pink panther it, and leave you a “pick it up at Police HQ” note? haha yea I can’t see that ending well. Wow, actual facts and unbiased reporting. Shocking. This is the type of thing that needs to be put in people’s faces on a national news level. 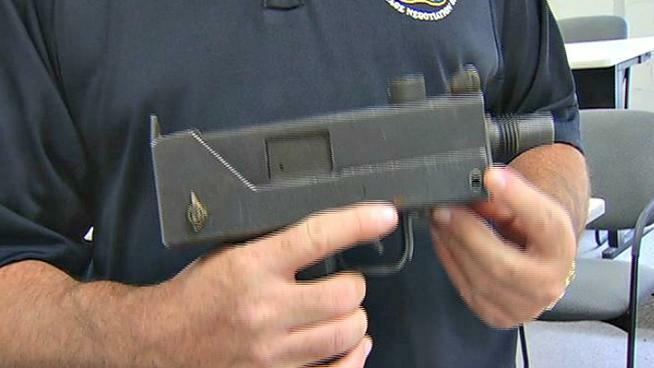 I’m not kidding… they actually called it a Military Mac-10 rifle. Check out the full story about this deadly gem they picked up at the New Haven CT gun buyback. Another successful day getting deadly military rifles off the streets. I wonder if they picked up any rocket launchers at this one, or is that just an L.A. thing? hahahha Derp to the power of infinity on all counts. 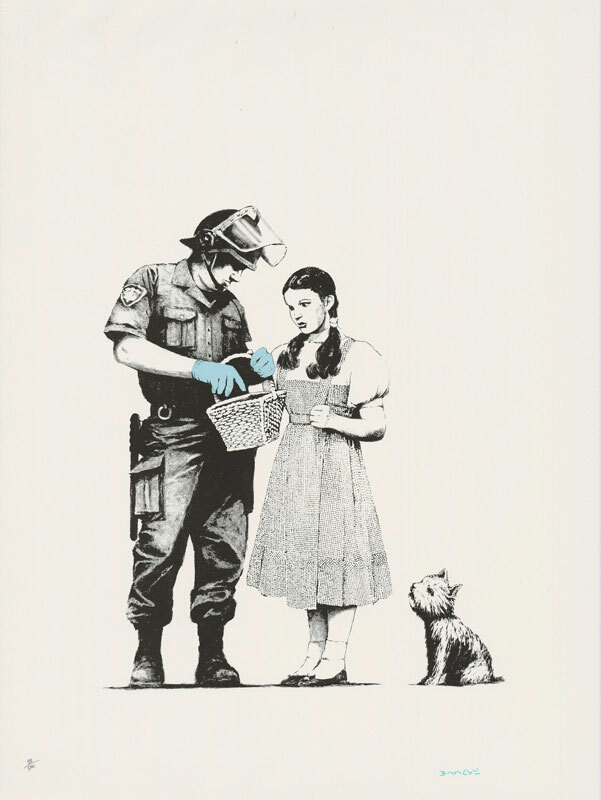 No purpose except killing and murdering people… NONE. Don’t even bother arguing. Thoughts? I think I might go shoot my special forces assault red ryder this afternoon.. or maybe i’ll mess around with my police issue supersoaker if it’s hot out. 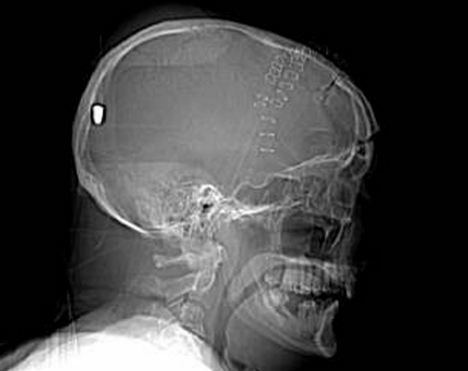 Chorlton, United Kingdom – A CT scan reveals a bullet that entered Peter Hesford’s skull while he was in his garden. Police are working on a theory that a gunman may have fired a shot in the air from a few streets away only for the bullet to land in Mr Hesford’s head as he looked up. Lucky he’s alive! The bullet must have just coasted along the top of the inside of his skull to end up at it’s final resting place. His speech is slurred, his memory has deteriorated and he spends most of the time sleeping. Hopefully he makes a full recovery. It would be a shame if he didn’t all because of someone not following one of the cardinal rules of knowing your backstop! Maybe the shooter was aiming at something solid, but people need to take into account where the bullet will go if they miss. Click HERE to go to the 4 episode playlist. 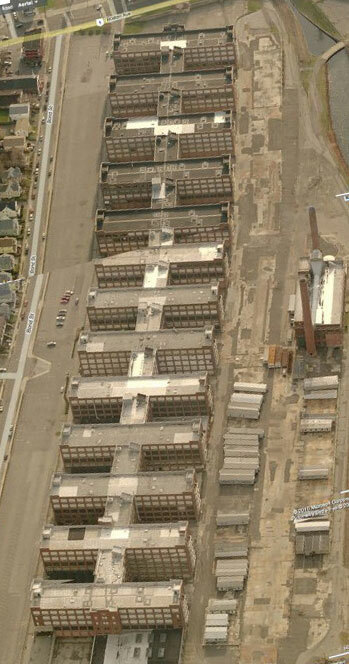 The Remington Arms factory in Bridgeport, Connecticut is a spectacular 1.5 million-square-foot structure of 13 interconnected buildings stretching over 76 acres. Now its future is imperiled. Long a monument on the city’s East Side, it was originally built by the Remington Arms-Union Metallic Cartridge Company beginning in 1915 to fill an order for one million rifles and 100 million rounds of ammunition to supply czarist Russian armies. Later, the building turned out bayonets, Colt automatic pistols, Browning Machine Guns, and automatic rifles. In 1920, General Electric purchased the property, and produced thousands of small kitchen appliances in the plant, but GE slowly pulled manufacturing from the building, and closed it entirely in 2007. Whenever I see old buildings like this, all I see are luxury lofts! Think Tribeca / SOHO in NYC … this would be perfect for such a project. Maybe there isn’t a market for such a development in Bridgeport though? I have never been, and I have no idea how sprawling the real estate and job markets are there. The building would definitely work well though. Plus, how badass would that be to live in a luxury version of an old Remington factory? These industrial areas never seem to be in very low crime areas either, but from what I’ve observed, as long as you have security and indoor parking people don’t seem to mind. If I were in charge of the project, for posterity there would have to be at least one building dedicated to firearms. It looks like there would be more than enough room for a few indoor ranges; judging by the satellite view the individual buildings are approximately 100m in length. No matter what, I hope they find some use for the buildings. I’d hate to see them demolished, but the sad truth is that the bricks are probably worth a mint and will be sold to builders who will pay a premium, and use them in new homes.